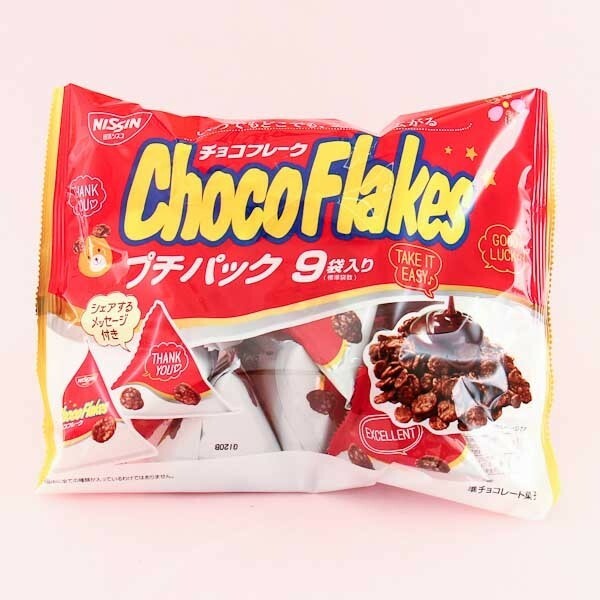 Super tasty chocolate cornflake snack by Nissin! The snacks are like chocolate cornflake cereals but with a thicker chocolate coating! So tasty! This family pack has 9 smaller triangular shaped packages that are perfect snack size for yourself or to share with a friend. The smaller packages are also easy to take with you where ever you are going to.